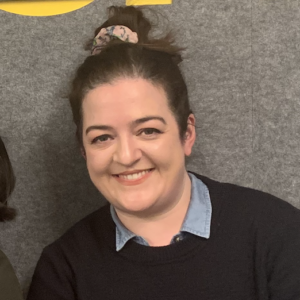 Maeve Higgins is an Irish comedian from Cobh, County Cork, now based in New York. She was a principal actor/writer of the RTÉ production Naked Camera, as well for her own show Maeve Higgins’ Fancy Vittles. What’s More Broken: US or UK Politics? Jude arrives in Christminster, and Michael and comedian Maeve Higgins tell ghost stories. 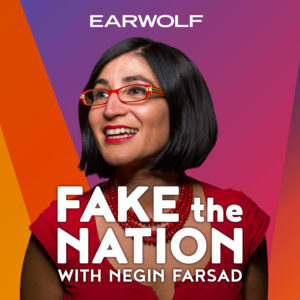 Comedians Maeve Higgins (Maeve In America, StarTalk) & Brian McCann (Conan, The Who Was? 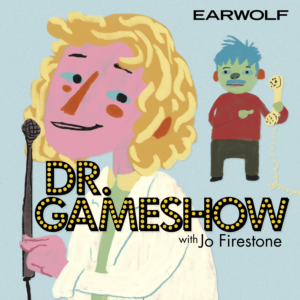 Show) join Jo & Manolo to play listener-created games with callers. Games played: A Very British Gameshow, Blockbuster Bagel Video, and The Blame Game.